Welcome to the Highlifeturntable. 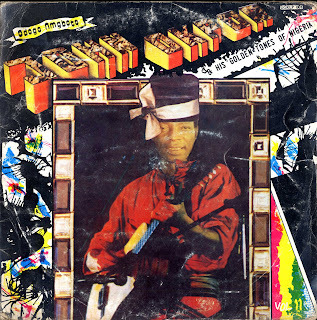 The purpose of this blog is to provide a way for people to listen to rare highlife music from Ghana and Nigeria. I plan to post tracks from my private collection along with a little commentary on what I know about the artist and what I like about the LP. For this selection of the highlife turntable I have chosen a track, Achuka Onye, by Chief John Okpor. A later Ukwauni highlife musician he played with a band called the Golden Tones and had the same straight ahead style as other ndowka perfomers like Bob Fred and king Ubulu. 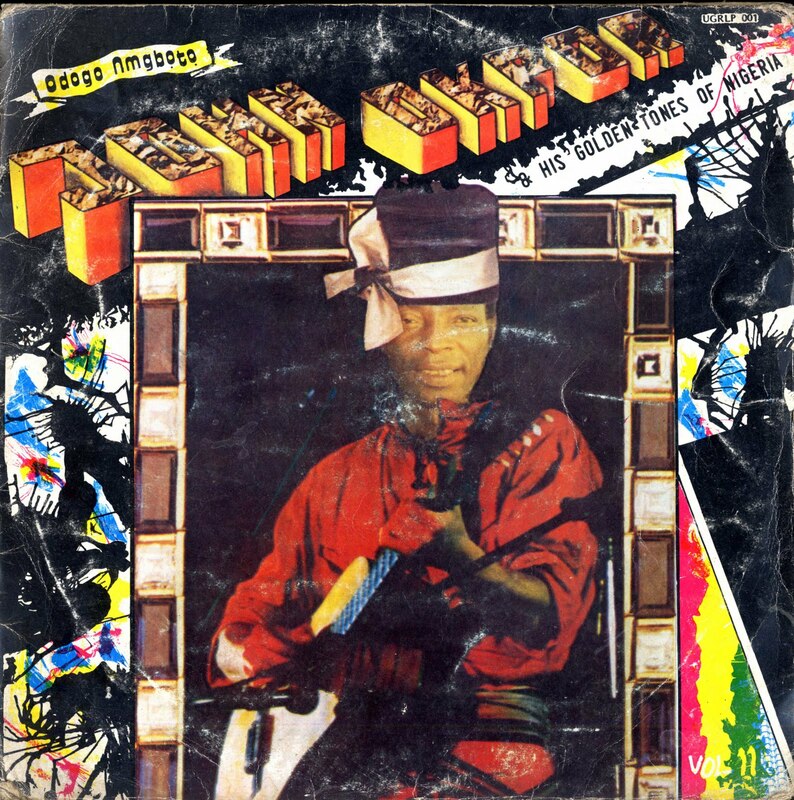 Its hard to really tell who is more of a direct more of an influence as the punchiness of the vocals reminds one of some of the vocal of King Ubulu, but the guitar playing and percussion are very much in line with Bob Fred's playing. Okpor appears to have deep roots in the Ukwauni musical community as one of his earliest records on the Yiobs label came out in 1976 and I have one LP of his that came out in 1992. Okpor thanks Bob Fred and Tony Otu in the liner notes for their support and he did an LP on Franco Lee Ezute label. His records also appear on such rare indigenous labels as Franco, Aplow, URGood and Yiobs. The song is from an LP Odogo Nmgboto put out on the URGood label, possibly some time in the early 80's. The song is a laid back affair. I like the vocals, especially around the 6 1/2 minute mark, and there are a number of nice guitar licks and drum breaks. I hope you like it. i would like have a talk by email if you have a few seconds. Is there a way to download this track or any of the other tracks you've posted?